So, with this in mind, I always knew that cat designs would be on the drawing board. This past year I moved to the country. Once I did, I realized that two cats would be perfect to add to our family pack. After rescuing two black and white tuxedo cats – Liberace and Skunk, I became completely inspired by their feline greatness. I felt moved and energized to create two new cat-themed designs and added them to our Lisa Welch Designs collection. 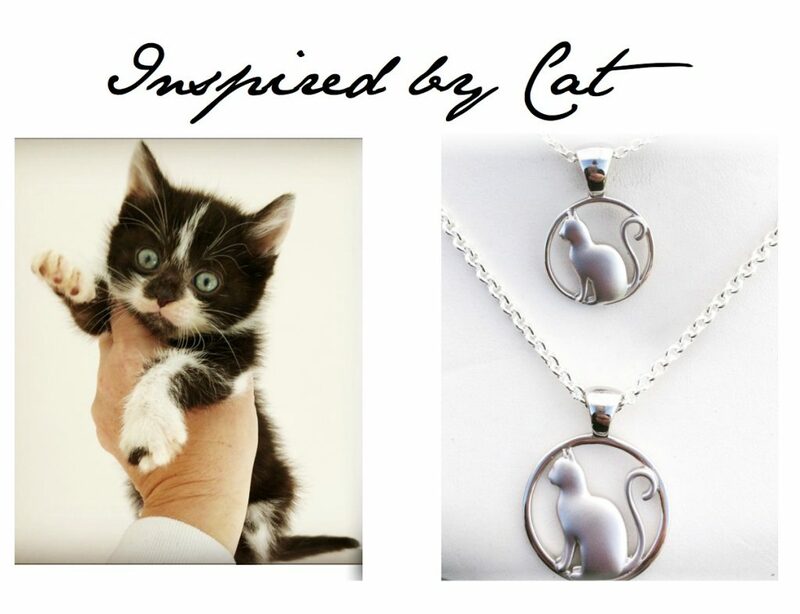 The open cat design pendant showcases the silhouette of an elegant feline. Three dimensional with a satin finish. Trimmed in a high polish round frame. We have two sizes. Large and small. The small version looks really sweet on one of our leather bracelets. The other new pendant coming soon, is the round cat pendant in our Eternity Collection. A memorial keepsake collection that will be beautifully made for every day wear. I am proud to say that Lisa Welch is for Dogs, Horses and now, “CAT”.